(MoneyWatch) The Federal Reserve's minutes from its September policy board meeting show general consensus over the need to provide more economic stimulus. By contrast, members show significant disagreement about the finer details, particularly regarding what economic conditions will trigger a reversal of the policy. Yet that disagreement could turn out to be helpful if it effectively cements current monetary policy in place. The minutes released today have been anxiously awaited because they may provide insight into the Fed's decision to implement another round of quantitative easing, or QE, to keep interest rates low through mid-2015 and to keep the policy in place until unemployment improves. The QE component is open-ended, and the forward guidance offered by the Fed is a bit vague. The key question is what, in particular, will trigger the Fed to begin reversing policy. 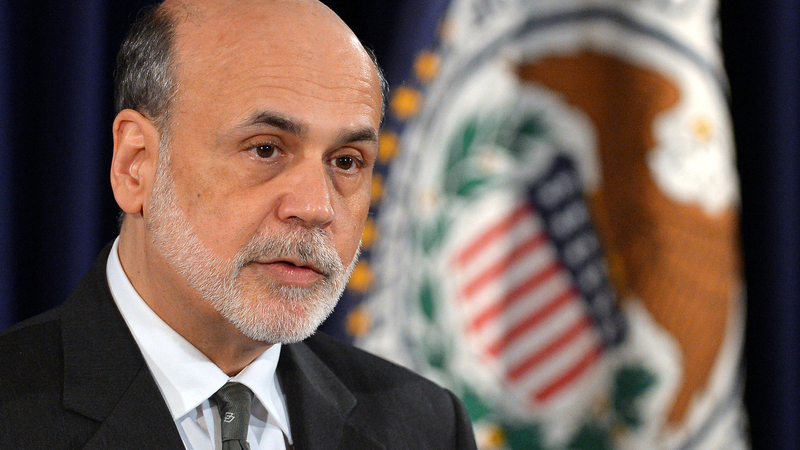 Fed Chairman Ben Bernanke has said that the current policy will remain in place until well after recovery begins. But it is unclear how widely shared this view is among committee members. Two aspects of the policy must be considered: the guidance that interest rates are likely to remain low through mid-2015, and the QE part under which the Fed will purchase $40 billion per month in mortgage-backed securities until the economy improves. Unfortunately for those who would like to be able to predict when the Fed is likely to change course, there is little guidance in the minutes over and above what was learned from the Federal Open Market Committee's statement after the meeting. That's particularly true for the asset purchase, or QE, element of the policy. All that we learn from the minutes is that "The Committee agreed that it would closely monitor incoming information on economic and financial developments in coming months, and that if the outlook for the labor market did not improve substantially, it would continue its purchases of agency [mortgage-backed securities], undertake additional asset purchases, and employ its other policy tools as appropriate until such improvement is achieved in a context of price stability." But what, precisely, "improve substantially" means is left unspecified. That is also true about the committee's forward guidance -- there is little in the minutes beyond what the Fed previously disclosed. What we do learn, however, is that while most members of the Fed agree that specifying the exit conditions in terms of a numerical target instead of a calendar date is highly desirable -- given that uncertainty over policy is not helpful -- they could not agree on precisely what those numerical targets would be. As a result, FOMC members kicked the can down the road. For example, Federal Reserve Bank of Chicago chief Charles Evans, who has been the strongest voice behind policies of this type, would keep interest rates close to zero until unemployment falls below 7 percent and/or inflation rises above 3 percent. But other members thought that "reaching agreement on specific thresholds could be challenging given the diversity of participants' views," according to the minutes. And "some were reluctant to specify explicit numerical thresholds out of concern that such thresholds would necessarily be too simple to fully capture the complexities of the economy and the policy process or could be incorrectly interpreted as triggers prompting an automatic policy response." The lack of agreement does tell us something important. Before the Fed can reverse the current policy, FOMC members will need to reach agreement over the need to do so, and we already know that will be very difficult. As a result, policy can be expected to stay in place while the Fed debates, perhaps over more than one meeting, this consideration. If anything, the gridlock at the Fed on this issue indicates a bias toward leaving policy in place for some time after economic conditions begin to improve. That could be helpful if a recent paper presented at the Fed's August meeting in Jackson Hole, Wyo., by Columbia University economist Michael Woodford is correct. He argues that policy works best when it stays in place even after the economy is recovering robustly, and the Fed's policy logjam ensure that outcome.